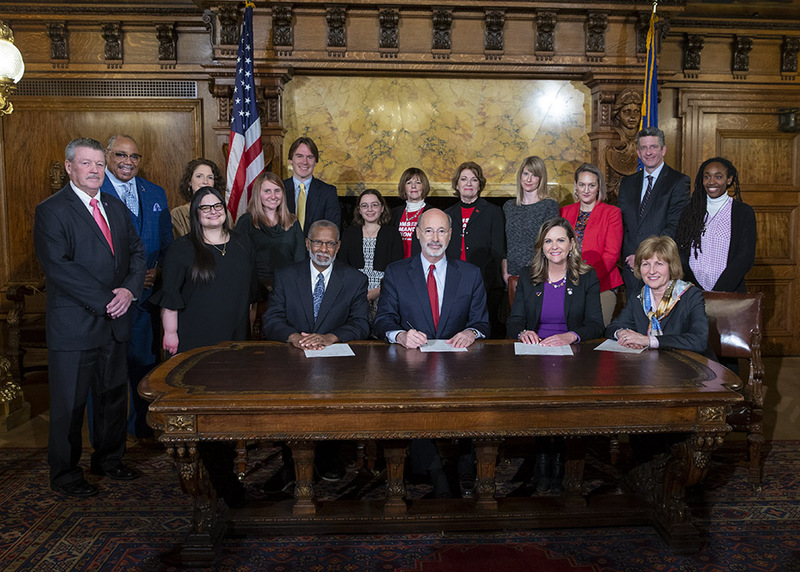 One of the General Assembly’s signature accomplishments in 2018 was passage of new laws to better protect victims of domestic violence. I was pleased to join my colleagues Senators Art Haywood and Judy Schwank recently to attend a bill signing event for bipartisan legislation we introduced to help relocate domestic violence victims who live in public housing. The new law will give county housing authorities the power to relocate endangered victims when remaining in the unit would pose a continued risk to the victim’s safety. The law will ensure victims are not trapped in a dangerous situation due to economic circumstances by allowing them to be relocated to a different unit or property. Earlier this year, lawmakers also approved Tierne’s Law – legislation I sponsored to ensure district judges can use risk assessment tools to keep the most dangerous offenders behind bars. I am extremely pleased that we made significant progress toward protecting domestic violence victims this year, and I am hopeful we can continue to explore new ideas in the new legislative session beginning in January to help prevent this horrific crime. The holidays offer an opportunity for all of us to celebrate with friends and family. Unfortunately, many local families who have a family member with an intellectual or developmental disability have very little time and money available for gifts. The Arc of Washington County works to ensure these local parents and families not only receive the services they need, but also can enjoy the magic of the holiday season. The Giving Tree program allows community residents to purchase a gift for an Arc client by selecting a Christmas tree tag that includes gift ideas for the individual. One of the Giving Trees is available now in my district office in Monongahela, located at 316 West Main Street. Community residents can stop by during normal business hours to pick up a tag and return the unwrapped gift by Friday, December 7 to help make the holiday season a little brighter for a family in need. In addition, my Southpointe and Monongahela offices are both drop-off sites for donations through December 8 of items to be distributed through the LeMoyne Community Center. Donations of toys, new/gently used clothes (especially coats, hats, and gloves), and household items are appreciated. 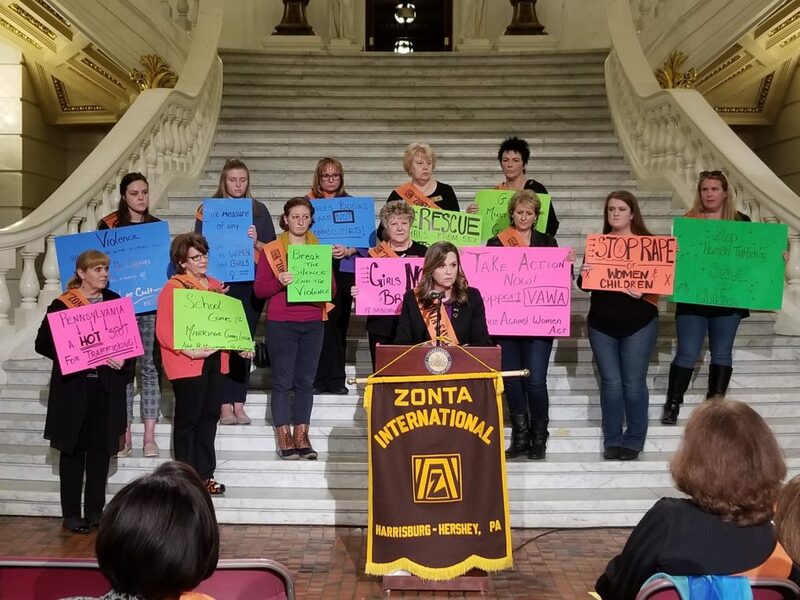 I was grateful for the opportunity to discuss legislative efforts to prevent domestic violence and human trafficking during an event hosted by the Zonta Club of Harrisburg-Hershey at the State Capitol Building. Each year, the nonprofit group Wreaths Across America honors our nation’s heroes by laying wreaths on veterans’ graves at cemeteries across the nation. These ceremonies are designed to remember fallen veterans, honor those who serve and teach future generations about the cost of freedom. On December 15, three wreath-laying ceremonies are scheduled at locations in our area: the National Cemetery of the Alleghenies in Bridgeville, Green Mount Cemetery in Waynesburg, and Laurel Point Cemetery Association in Carmichaels. More information on Wreaths Across America, including a full schedule of events, is available online at www.wreathsacrossamerica.org. Veterans’ service organizations can apply now for grants to better serve the brave men and women who have served our nation in the military. Grants are available through the Veterans’ Trust Fund for programs addressing veteran homelessness, behavioral health initiatives, veterans’ courts and other programs to meet the needs of veterans and their families. Additional information on the grant program is available here. 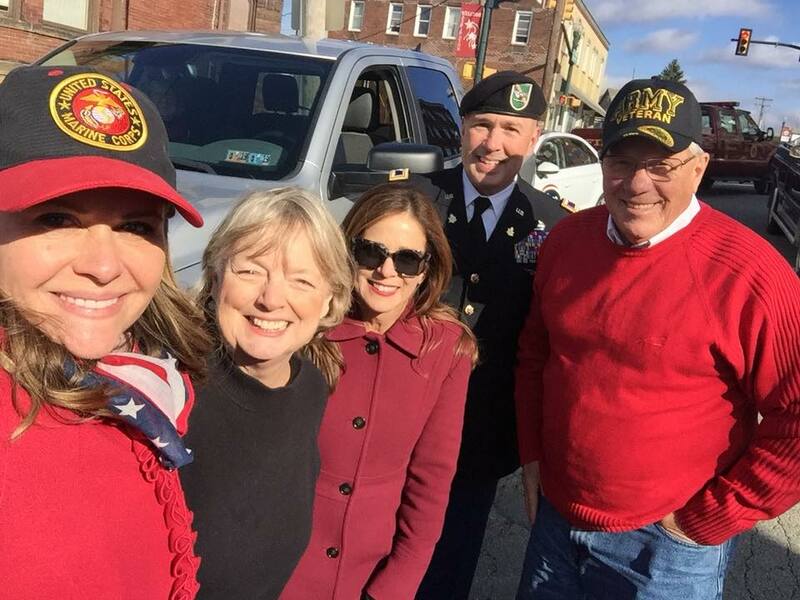 I enjoyed meeting a number of local heroes and the families who came out to honor their service at the Veterans Day parade through Washington. The availability of trails and parks plays an important role in providing recreation opportunities to residents of local communities. Four state grants that were awarded recently will aid in the development and improvement of trails and parks in Greene and Washington counties. $122,000 for the development of Community Park in Independence Township, including the construction of pedestrian walkways, pavilions, stormwater management and an access road and parking area. $50,000 grant for Donora Borough to prepare a trail study for the development of approximately 53 miles of the Monongahela Valley Corridor spanning six municipalities in Washington County. $403,000 to support 2.2 miles of trail construction and fencing along the Greene River Trail Extension in Rice’s Landing Borough. The new trail will run from Crucible Village to Jacobs Ferry Road. $200,000 to construct pedestrian walkways and bridges, cross-country and hiking trail development, landscaping and other improvements to Wisecarver Recreation Area in Waynesburg Borough. Funding for the projects was provided through the Community Conservation Partnerships Program, which is administered by the state Department of Conservation and Natural Resources.